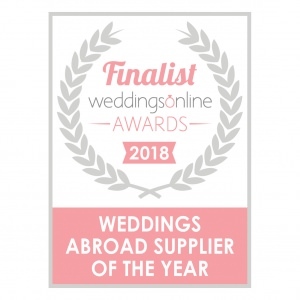 This commendation from the prestigious ‘Weddings online’ is a seal of industry approval. At Weddings in Rome, we understand that your wedding day must be beyond perfect. This is what we do best…. it is great to have the formal recognition of the work that goes into planning a dream Wedding in and around Rome. All roads to lead to the grand final in Dublin come February!